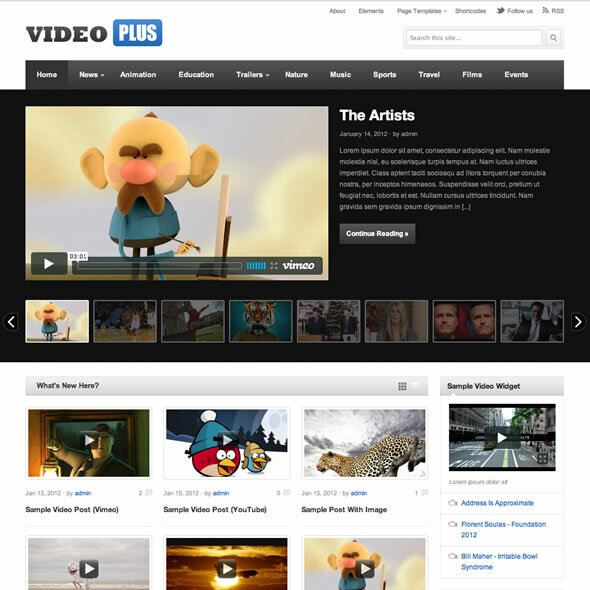 Videoplus is a professional premium video WordPress theme used for video sites. However, this does not mean that it cannot be used on news, magazine or any domain sites. You can use this site to show case all the types of videos. This version is rich with features that are helpful. 1. The free version: the free version is available to all at no cost. A majority of bloggers use this version on their blogs. You can use this on as many domains as you want. 2. The standard version: the standard version is available to all to use. However, with this version, you have to buy it and the price is affordable to all. The cost is $29.95, which is a one-time fee. This version is the best for personal projects and even client projects. You can use it on websites, blogs or any other project that you have. When you compare the two, the standard version is better than free version because the standard version has everything that you need on your site. You can also decide to apply for all themes junkie’s theme at $39.95. However,before going for the services, you are advised to please inquire for the services first.